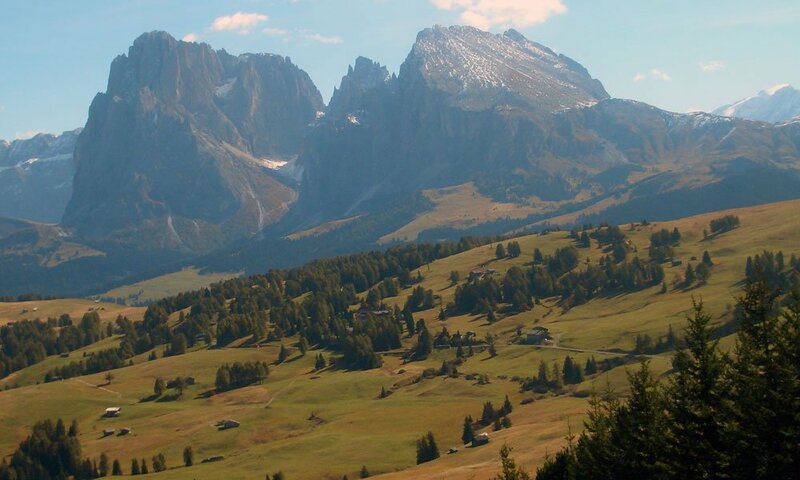 In all four seasons, you may spend a marvellous hiking holiday on the Alpe di Siusi; even in the winter, beautiful winter hiking trails or snowshoe routes await you. However, the most beautiful hiking experiences await you in the fall, when the clear air allows extraordinary panoramic views, the days are not so hot, but the weather is still good. Enjoy hiking on the Alpe di Siusi or in the surrounding alpine areas, on Mount Bullaccia, the Sasso Lungo or in the nature park Sciliar-Catinaccio. No matter whether you are looking for family-friendly and child-friendly paths, high alpine and challenging trails or climbing routes – Here with us in the Dolomites you will find the perfect itinerary for every taste and every demand. In Castelrotto, you may join the Geotrail, a regular, guided hike with scientific and geological information about our beautiful region South Tyrol. Try the village tour with a social get-together in a local pub, or take a guided tour on our campanile – okay, that is not really hiking, but still interesting! 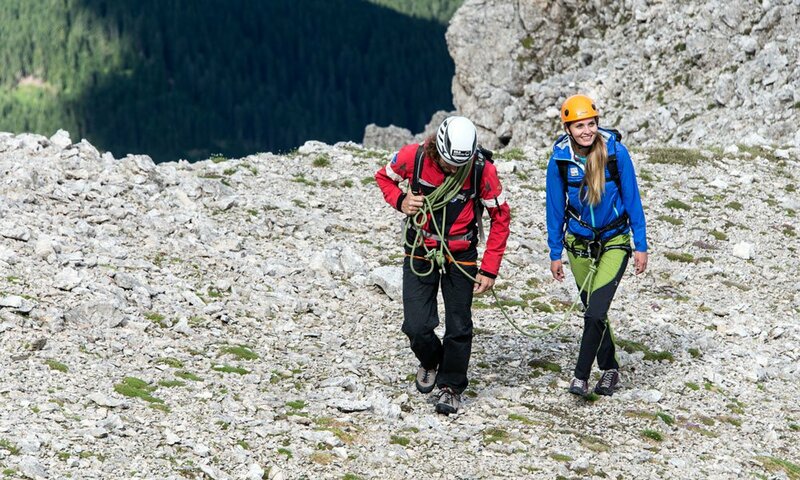 If you wish to venture out on your own for challenging hikes or tours, you should hire an experienced mountain guide to accompany you. Here with us, you will find competent experts, not only for mountain or rock climbing, but also for rafting and canyoning. In the fall, there are so many offers here in Castelrotto that you will always experience a highlight, no matter when you visit us at the farm Goldrainerhof: In September, there are classical music concerts in the parish church and the festival “Buamfest” with live music. 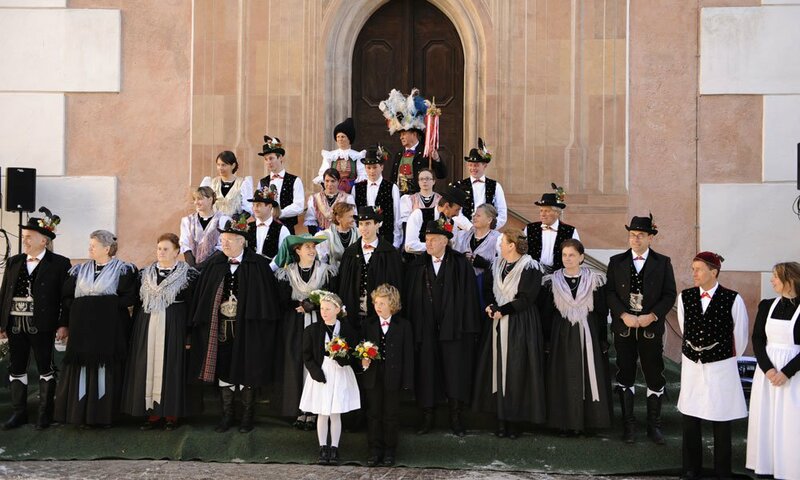 In October, the annual event “Kastelruther Spatzenfest” takes place, as well as the Törggelefest in St. Oswald and the famous cattle drive. Thus, you may experience different events here with us in Castelrotto; yet, also the other regions in South Tyrol provided some attractions. We look forward to welcoming you with us at the farm Goldrainerhof: for a hiking holiday on the Alpe di Siusi, an active or spa vacation or just to relax, unwind and enjoy some cultural highlights. For every type of holiday, here you will find the best conditions and a temporary home.